Lively ragtime acoustic guitar. Starts with only acoustic guitar, later joined by electric guitar. Vivid, happy, easy-going. Short Version: acoustic guitar only. Dreamy and contemplative acoustic guitars and bass. Short version 1: dreamy and expectant; short version 2: dreamy and wistful. A musical journey: Far Eastern melodies meet the Western world. Acoustic guitars with bass, piano and drums. Short Version 1: Far Eastern melody with blues-like ending. Short Version 2: lively melody on acoustic guitar creates a positive mood. Short Version 3: driving and propelling fingerpicking guitars. Acoustic fingerpicking guitar with meditative yet positive violin. Carefree acoustic guitar melody in pleasant tempo. Short version: floating and relaxed. Warm, relaxed acoustic guitars. Laid-back, lively and authentic. Slightly melancholy yet hopeful acoustic guitar theme with longin violin melody. Relaxed acoustic guitar theme with bass, harp, keyboard and flute. Subtle background for wide open spaces and emotional landscapes. Short Version 1: opening and full of expectations. Short Version 2: chilled and calming. Short Version 3: somewhat mysterious. 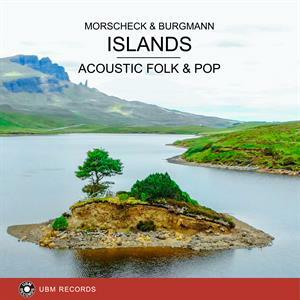 Warm, tranquil, atmospheric acoustic guitars with bass and drums. Short Version 1: full of expectations. Short Version 2: relaxed and calming; Short Version 3: increasing and motivating. Peaceful, pensive, joyous folk guitars, accompanied by bass and drums. Version 1: peaceful, slightly contemplative; Short Version 1a: acoustic guitars only. Short Version 2: peaceful and hopeful; Short Version 2a: acoustic guitars only.